The IVF-IUI Mind-Body Program is based on our bestselling Natural Cycle for Fertility Program and tailored to meet your specific needs while going through IVF/IUI. 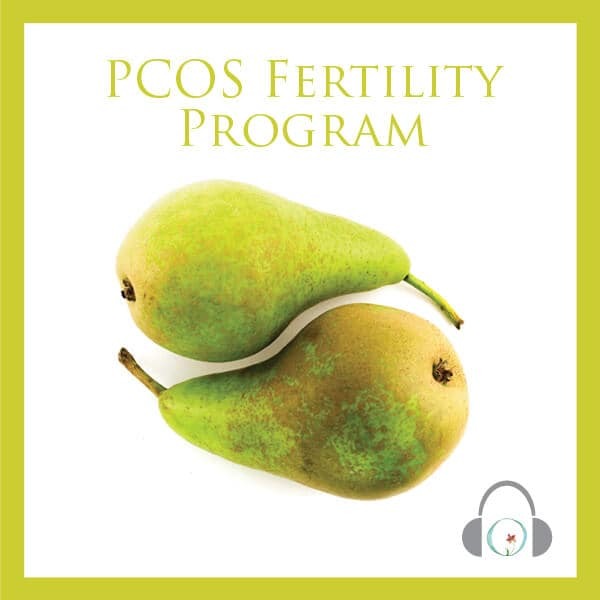 The program includes 18 unique, guided audio IUI and IVF meditations, including special sessions to listen to before, during, and after your IVF/IUI procedure. An adaptable program that you can customize for your cycle. This IVF/IUI fertility program was developed, with the help of qualified doctors, for hopeful soon-to-be Moms by a now-Mom who was told becoming pregnant would be difficult. The guided meditations and visualizations help to calm you, balance your hormones, and prepare your body for pregnancy. Read reviews from many women who’ve succeeded in becoming pregnant while using this program. Are you ready to see those two telling lines on the pregnancy test? 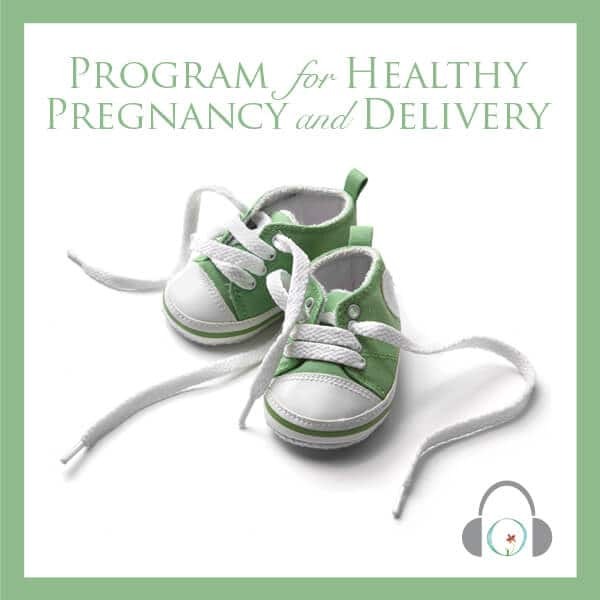 This program includes 18 audio sessions containing a total of 4.8 hours. You will receive instant online access once you create your account and will be able to download the sessions as well to listen to it however you prefer to. Listen to the pre-cycle sessions prior to beginning stimming and also if you’re suppressing prior to stimming. Pre-cycle Session A: Internalize your unique understanding of the mind-body connection and begin to trust its intelligence and power. This sets the stage for all of the specific mind-body exercises to follow in this program. Pre-cycle Session B: Continue strengthening inner trust and dialogue between your mind and body, feeling its intelligence on a subconscious level. Water visualizations cleanse and prepare your body for the start of your cycle. Pre-cycle Session C: Learn hypothalamus and pituitary visualization exercises, seeing this part of your brain balance and relax. Continue to focus on mind-body intelligence and communication to prepare for your cycle to start. Cycle Day 1+2: This should correspond with the first day of your stimming medications. Focus on complete and healthy acceptance of synthetic hormones. Visualize communication between the hypothalamus-pituitary and shed excess anxiety. Cycle Day 3+4: Balance anxiety with endorphins and positive feelings throughout the body, releasing excess cortisol as needed. Accept hormones and medications in an open and positive way for optimum effectiveness. Cycle Day 5+6: Focus on your ovaries, follicles and eggs and see movement, positive energy, brightening, all the while completely trusting the mind-body intelligence to nominate the highest quality eggs for this special cycle. Cycle Day 7+8: Your hypothalamus-pituitary glands are connecting with your ovaries to present just the right amount of hormones. Visualize the developing follicles within the ovaries. Cycle Day 9+10: Feel inner harmony, allowing your body, on a cellular basis, to accept complete relaxation for optimum reproduction function. Visualize the uterus and the beginning phases of preparing for the fertilized egg. Cycle Day 11+12: Feeling, seeing and visualizing the abundance of follicles and future eggs in ovaries and how the ovaries are creating a handful of special eggs for ovulation. Trigger Shot & Extraction (IUI – Ovulation): Special visualization to completely release any negative internal energy. Visualize the trigger shot as positive energy coming into body and doing exactly what it should with special attention to the ‘acceptance’ of this medicine. Prepare your body to be in a completely relaxed and open state without any hindrance or pockets of stress or blockages. Cycle Day 13 + 14: For this time between egg extraction and transfer, focus on internalizing the miraculous connections being made, and bring that back into the body for emotional connection to the embryo. Focus on preparing the uterus to accept fertilized eggs. 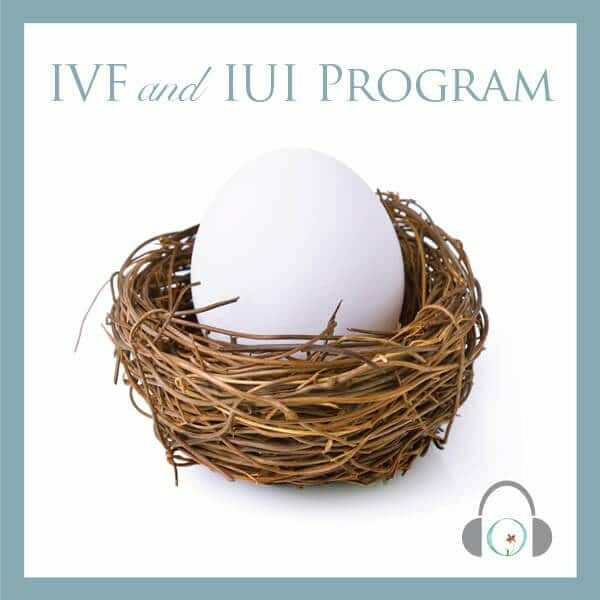 Transfer (IUI – Insemination): Listen to this before, during and after your procedure. Focus on feeling open, warm, accepting and abundant. Visualize the inside of your uterus, where you can welcome the embryo inside. Cycle Day 16+17: The commencement of the two-week-wait, with suggestions of having feelings of gratitude, abundance and what is happening inside uterus. Hormones moving in just the right amounts at the right time…warmth and acceptance on a cellular basis. Cycle Day 18+19: Explore your emotional state of being, letting go of anxiety or other negative feelings. Focus on sending relaxation to the uterus, seeing the tiny fertilized eggs float about in warmth and abundance. 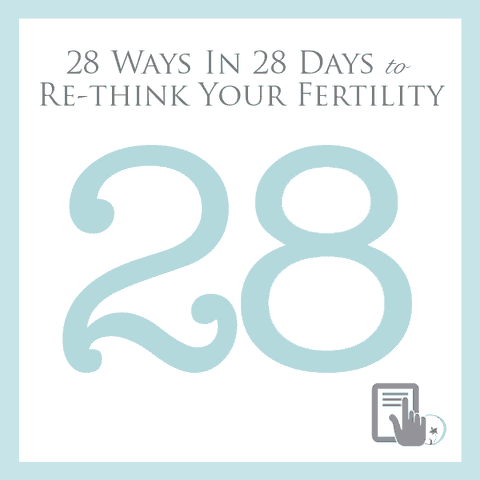 Cycle Day 20+21: Sense the energy that is constantly working toward the development of the embryo(s). See the implantation of the egg(s) on walls of the uterus. Nurture feelings of abundance through a visualization exercise about helping someone in need. Cycle Day 22+23: Focus on balance, blood and oxygen flow, and hormones progressing to the uterus as needed, using your mind-body intelligence and intuition. See the healthy growth and development of the embryo(s). Cycle Day 24+25: Visualize the inside of the uterus, and sense a bond. View growth with intention, strength and love. Feel pride in the process you underwent in order to bear the life of another. Complete selflessness. Cycle Day 26+27: Use the mind-body connection to support the uterus in any way that it needs, using intuition as your guide. Focus on how you have changed throughout your motherhood journey. 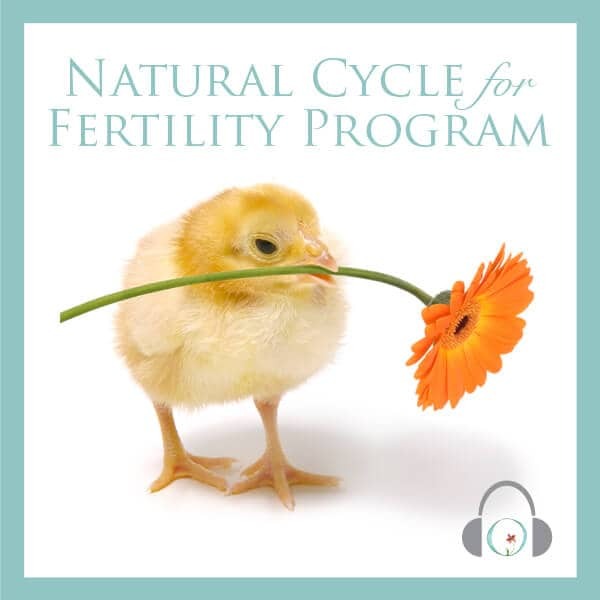 It’s been so helpful to have these guided meditations during my IVF cycle. My cycle is not complete yet, but I’m already feeling the difference of relaxation when I use the meditations. I like how it’s synced with what your body is going through during the different parts of the IVF cycle. I did my egg retrieval and got more eggs than anticipated (24 eggs and I’m 40 years old) and I think being relaxed probably helped! I’m doing a frozen cycle so I will definitely be using the guided meditations when it’s time for the transfer of the frozen embryos. Thank you for this program! Think you’ve tried everything? We’ve helped many women realize their dreams of starting a family. Try these 28 tips to help you use the power of positive intentions and focused thought to bring peace, reduce stress, and prepare your body for conception.